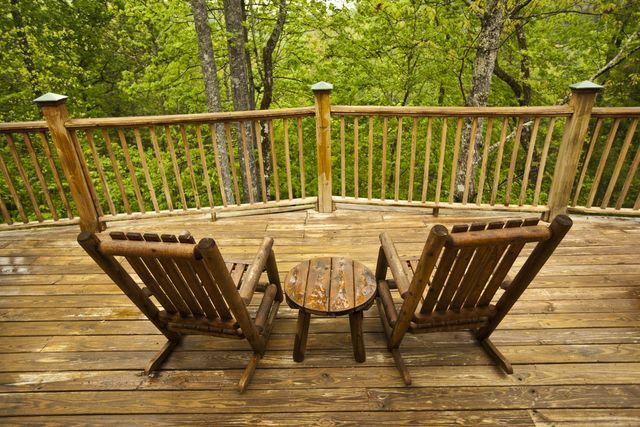 American Mountain Rentals, the premier provider Smoky Mountain vacation rentals, recently released the secret to finding the perfect cabin in Pigeon Forge. American Mountain Rentals has been an industry leader in providing cabins in Pigeon Forge to families for over 10 years. We have been in the Smoky Mountain vacation rental industry for over 10 years, and the biggest question that families always want to know about their cabins is what kind of view it offers. The whole purpose of taking a Smoky Mountain vacation is to relax. That being said, there is no reason that the search for the right cabin in Pigeon Forge or Gatlinburg should be stressful. 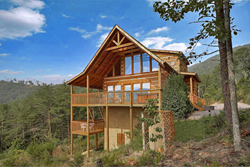 Understanding this, American Mountain Rentals has recently released a list of the top five questions every vacationer needs to ask in order to find the perfect Smoky Mountain vacation rental. The top question that American Mountain Rentals believes that every Smoky Mountain vacationer should ask when looking for a cabin in Pigeon Forge is about what kind view the rental offers guests. According to American Mountain Rentals, once guests have found a cabin in Pigeon Forge that offers the right view that they are looking for, then they can move on to the other important questions to ask like which amenities are included and what do they need to bring with them to use during their Smoky Mountain vacation. Rounding out the list of the top five questions to ask when looking for a cabin in Pigeon Forge is whether or not the rental company offers discounted tickets to Smoky Mountain attractions. For guests choosing to stay inside one of American Mountain Rentals’ cabins in Pigeon Forge, the answer to this last question is yes. The company offers several Smoky Mountain attraction packages that include discounted tickets to Dollywood, Dixie Stampede and Ripley’s Aquarium of the Smokies. Named ‘Best Cabin Company in the Smokies’, American Mountain Rentals has been the premier resource for the finest cabins in Gatlinburg and Pigeon Forge, TN, for over 10 years. Offices are located at 110 Hillis Drive in Pigeon Forge, TN. For additional information, or to reserve a cabin, visit their website at http://www.americanmountainrentals.com, or contact American Mountain Rentals by telephone at (877) 265-5534. According to American Mountain Rentals, the number one thing guests look for in cabins in Pigeon Forge is the perfect view.